IT was supposed to be a fun day out at a music festival in Lorne, a small coastal town on the Great Ocean Road in Victoria. A four-day summer celebration during over New Year's Eve, full of music, entertainment and drinking with friends and fellow music lovers. But for university students Maddy and Michaela, as well as 70 others, attending the festival two years ago changed their lives forever. At about 10pm on December 30, 2016, Australian rock band,DMA's, finished their set at the The Grand Theatre in front of thousands of screaming fans. Following their final song, patrons began to exit the festival tent and make their way to another stage to watch the next band perform, London Grammar. But the positioning of the exit area proved dire. It was so narrow that the passageway formed a "bottleneck" for those trying to leave the tent, instantly creating a dangerous human crush. Maddy and Michaela, who were strangers before attending the concert, were two of the many young people who were trampled and injured in the crowd surge. Michaela was looking forward to a day at Falls Festival. The incident left 19 people hospitalised, and dozens injured, and within two months of the horrific event, a multimillion-dollar class action against festival organisers was announced. 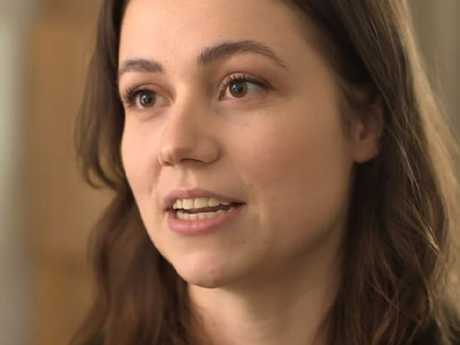 At the forefront of the class action, which hopes to receive compensation for negligence, is 23-year-old Maddy and Michela, who said the exit area at the festival was a "recipe for disaster". 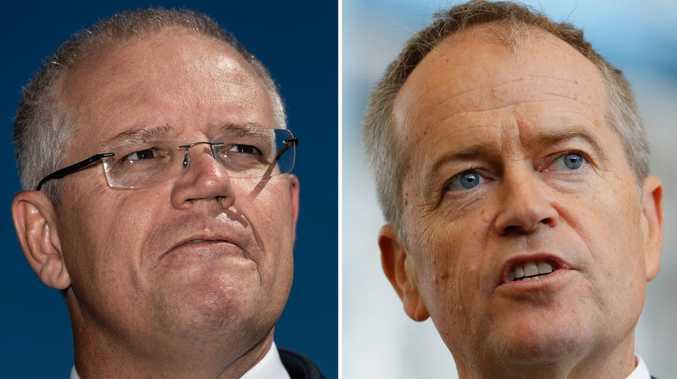 Speaking to The Feed on SBS, Michaela explained the moment she thought she was going to die under thousands of people trampling her to leave the tent. "I remember being in a washing machine and someone trying to pull me out," she said. "Then I had a blank. I woke up on the grass somewhere and realised my arm was paralysed. 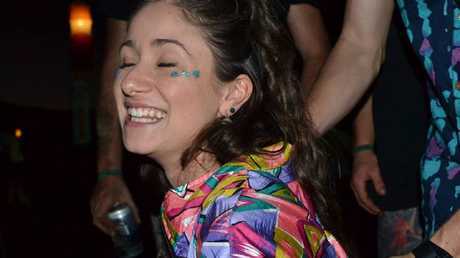 "You go to a festival thinking that you're going to have fun and feel safe. Thinking that you're in a situation where you could die is the last thing on your mind." Michaela said she felt like she was in a washing machine of people trying to exit the venue. Maddy, who was in a similar situation in the crush to Michaela, thought she was going to die the night of the festival after feeling like a sardine in the crowd of people. "I couldn't move and I couldn't breathe," she told The Feed journalist Laura Murphy-Oates. "It was the most terrifying experience of my whole life. "The closer we got to the exit, the squashier it got and it got to the point where I wasn't actually moving. The crowd was moving me. "(I thought) I'm going to die. This is it. The more people started piling on top of me. I was screaming as much as I could 'help someone help'. I bit somebody's leg to try and get them to notice me and to get me out. But it was just black." Michaela was preparing to go on exchange in Montreal in Canada, and said the festival was supposed to be an exciting time before heading off on her overseas adventure. "It was meant to be the time before I was leaving for Canada," she said. "I was feeling the love from everyone and these were the people I wasn't going to see for a long time so I was really trying to make the most of the opportunity. "At the DMA's it was crazy. There was so many people … everyone was really vibing it. "Basically when the gig ended, people started filing for the exits because London Grammar were playing and everyone was really excited to get to their gig. "I wasn't able to move forward. People were still pushing me from behind. I fell on to the person in front of me, and I felt someone fall on top of me. I could feel the air get squashed out of my lungs. "I remember sort of waking up on the grass somewhere and realising that my arm was paralysed." Michaela woke up after being crushed with a paralysed arm. 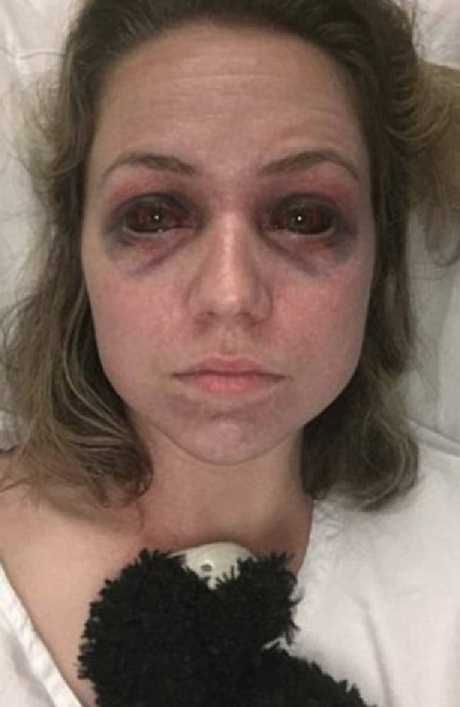 Maddy's injuries included a cracked pelvis and trauma to all the blood vessels in her face, as well as substantial bruising and grazing to her legs and shoulders. But it's the mental injuries that have caused her the most harm. "The pressure burst all the blood vessels in my face and eyes," she said. "That's what all the bruising was from. "I couldn't go to the toilet by myself, I couldn't shower by myself. I couldn't do anything. "This is going to stay with me for the rest of my life. I have been diagnosed with post traumatic stress disorder … I don't handle big crowds very well. I tripped over at work the other day and I had a panic attack. I am terrified of being injured again." Michaela agreed, saying she now feels uneasy in crowded spaces. "Sometimes being on the train in general made me feel really uneasy," she said. "In cars as well I would get really jumpy with oncoming traffic." Maddy was crushed in the 2016 Falls festival. 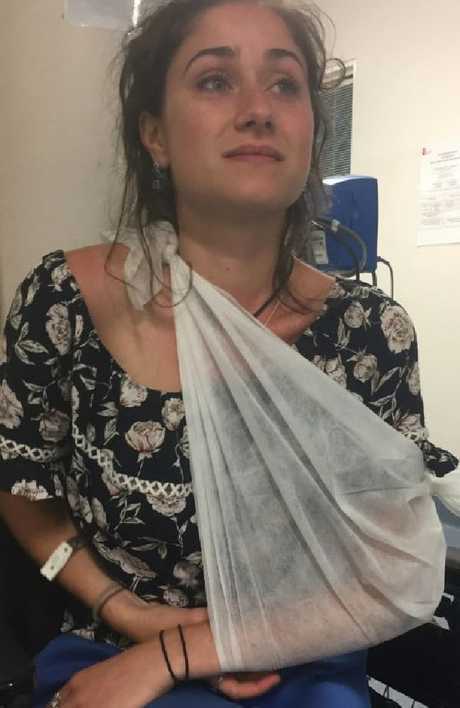 Maddy was studying secondary teaching at the time of the festival, and says she can no long listen to rock band DMA's anymore following her horror ordeal two years ago. "There was so many people. People were climbing up on the sides of the fences because they wanted to see and it was so packed. People were climbing on the poles," she said. "They were good … but I can't listen to them anymore." 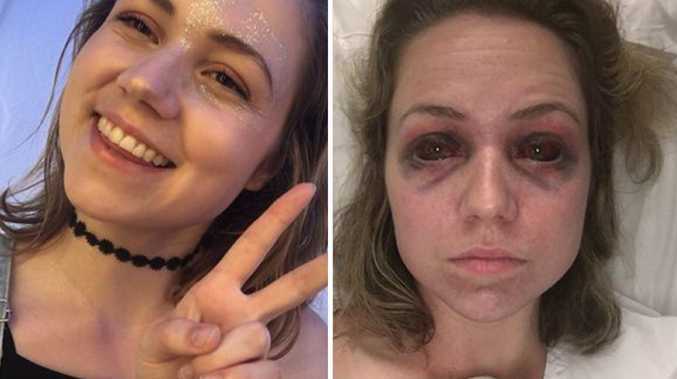 Both girls, who are two of more than 70 people seeking compensation from the festival organisers, say the group class action seeks to gain damages and costs for people trampled and injured at the 2016 event. WorkSafe Victoria found 19 people were hospitalised and 76 required first aid treatment in the incident. "I think that what happened is the size of exits and the amount of people in the tent," Michaela said when asked how the incident occurred," she said. "That was just a bottleneck … and whether someone tripped or it was too many people, it was just a recipe for disaster." 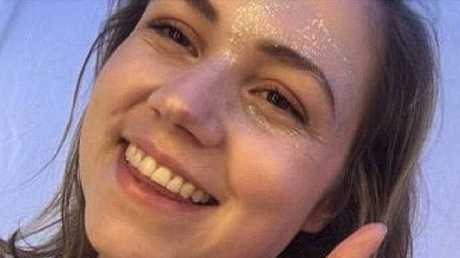 Maddy says the pressure cracked her pelvis and burst all the blood vessels in her face. Last month, event organiser Ash Sounds Pty Ltd applied to the Supreme Court to have the matter resolved by ­individual proceedings. Their argument was that several County Court actions and a small claims arbitration process in the Magistrates' Court was a "more efficient, cost-effective and appropriate course". According to the Geelong Advertiser, the claim from Ash Sounds Pty Ltd stated that there was a "strong likelihood" that other than five people who can claim general damages, the remaining claims were well below the $100,000 limit of the Magistrates' Court. Supreme Court Associate Judge Melissa Daly said evidence appeared to show that patrons suffered minor to moderately severe abrasions and orthopaedic injuries. A number had since been diagnosed with post-traumatic stress disorder, Judge Daly said. "While a number of group members have modest claims, the medical reports and medical panel determinations in evidence indicate that a number of group members have suffered life-changing physical and psychological injuries as a result of the crowd crush incident," she said. Michaela said she and those injured in the 2016 Falls Festival human crush deserve compensation. Michaela said she had received a number of losses as a result of the 2016 incident, which had required large amounts of money for various treatments. "A lot of money has gone towards medical bills and seeing specialists, hand specialists, neurologists," she said. "They are not cheap so I feel like I am entitled to some compensation." The parties failed to reach a settlement at court ordered mediation last Friday October 19. The Melbourne Supreme Court trial, listed for November 19, will be heard by a jury. The court estimates it will run for 10 to 15 days. To watch the full interview, watch The Feed here.